The Singapore corporate tax system is among the best in the world, according to a recent study published jointly by the World Bank, the International Finance Corporation (IFC), and international finance giant PwC. For Singapore company incorporation specialist Rikvin, the survey further cements Singapore’s reputation as a pro-business economy, as well as a desirable hub for entrepreneurship and investment in Asia. 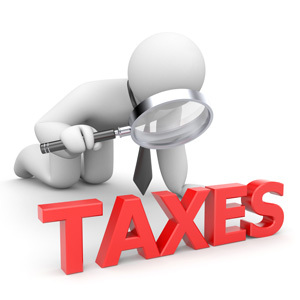 Entitled “Paying Taxes 2013,” the survey assessed 185 economies on the basis of three key indicators, namely: (1) total tax rate; (2) time to comply with tax requirements; and (3) the number of tax payments required. Scoring well across all indicators, Singapore was distinguished for its tax rates, compliance time, and number of tax payments that are lower than global averages. A medium-sized firm in Singapore, for example, typically pays a tax rate of only 27.6% of profits, compared to the global average of 44.7%. Moreover, domestic firms are required to make only a total of 5 tax payments, and each entity spends an average of 82 hours per annum to comply with tax requirements. These figures are significantly lower than the global average of 27 payments per firm, and 267 hours on average spent on compliance in other countries. Overall, Singapore emerged as fifth in “Paying Taxes” global rankings, slightly behind Middle Eastern countries United Arab Emirates (UAE), Qatar, Saudi Arabia, and regional neighbour Hong Kong. In addition to its low base corporate tax rates, another pull factor is Singapore’s attractive range of tax incentives for growth industries. The PIC Scheme Guide (PIC scheme), in particular, was cited as an example of the city-state’s initiative to establish targeted reforms. The PIC scheme offers incentives to Singapore firms who participate in any of 6 categories that are aimed at improving efficiencies within the company’s operations. “The Singapore PIC scheme is an excellent way to lower total corporate taxes paid, yes. But more than that, it’s the perfect opportunity to bolster productivity and ultimately impact your bottom line,” adds Mr. Bakhda. Now on its eighth year, the “Paying Taxes 2013” survey is an independent component of the World Bank’s “Doing Business” project, which ranks countries according to the business-friendliness of their regulatory environment. Incidentally, Singapore has consistently topped the “Doing Business” survey for 7 successive years.